The NEW Micro Tracker is a superb addition to our range of GPS tracking devices. Much smaller than our previous version, it is perfectly suited for monitoring of vulnerable persons, packages, assets, bags and many other items. The Micro Tracker truly compliments our range of GPS tracking devices adding a unit that is small yet versatile enough to be used in ways our other larger products cannot. It is amazingly compact and can be hidden in many everyday things and is perfectly suited for tracking and monitoring of people, packages, assets, bags and many other items that would have previously been completely inconceivable! This maybe one of the smallest trackers available, but that doesn’t mean that it is lacking in capability in any way. Available in two colours (Black/white) at only 25 grammes the device is exceptionally light, but it features an omni-directional SiRF Star III GPS antenna and a Quad-Band GSM engine providing worldwide capability. Despite reporting its location every 20 seconds that it’s on the move, the specialist battery saving electronics ensure that the unit is capable of up to 3 days operational deployment time, with normal usage, which is exceptional considering its size. 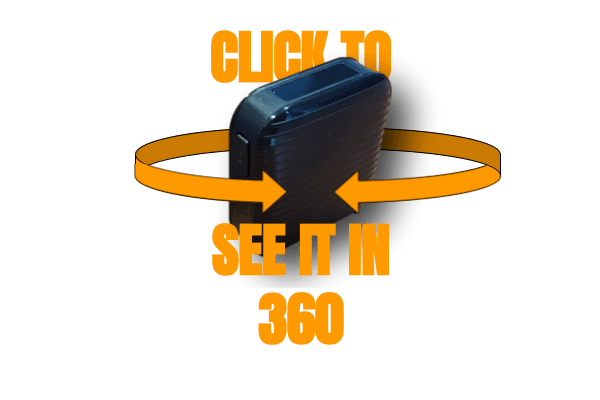 When deployed the Micro Tracker is set to report back its location every 20 seconds that it is on-the-move, albeit a built-in movement sensor will shut down reporting when the device has been stationary for 5 minutes. Included Web and Smartphones apps provide ‘live’ monitoring, logging of location history and monitoring of remaining battery life. You will also be able to see your own location on the smartphone app, which can make it easier when trying to follow a micro tracker on-the-go. It is possible to have multiple micro trackers being monitored through one user login if so desired. There are a number of extra features are available on this model. Through the web/smartphone app it is possible to set ‘Geofence’ areas where you can be alerted when the tracking device exits or enters these areas on the map. There is a built-in panic button and two-way call feature , which is ideal for when the Micro tracker is being used to monitor vulnerable person carrying/wearing the device. It is also possible to remotely listen in discreetly, albeit the microphone pickup range is very limited (about a metre radius). Finally, it is also possible to remotely switch off the device (cannot be remotely switched back on). The Micro Tracker has an inbuilt 450mAH lithium battery that can be fully charged within approximately 3 hours. A USB charge lead and mains adapter plug are supplied for this purpose. Use of the Web/Smartphone apps are included in the purchase price, however after 12 months has expired to continue using this facility then a licence renewal is required at a very reasonable price (see tracking subscriptions section). A Vodafone SIM is included as standard with £10 worth of credit so the device will be programmed and ready to go, other than charging the battery which makes matters so simple for the customer on receiving the device. How accurate are the locations given by the Micro Tracker? This will depend upon a number of factors including what type of area the tracker is located in at the time of the the location request. If there are tall buildings, because of GPS reflection off these buildings accuracy can vary. Generally the GPS locations will be accurate within about 5 metres, although in absence of GPS the unit defaults to LBS and these are far less accurate. How much does the tracker cost to run? There are two ways to run the device – by SMS request or using mobile data for reporting locations to the web-panel. SMS request need only be used infrequently (standard SMS charges apply). Minimal data is required to report a location, so data usage is low. There is an annual charge for use of the web-panel (currently £40.00 + VAT per unit per annum). Any standard size network SIM card will do as long as it is active and has credit/data on to send out locations. Could the Micro Tracker be used to track a car? The micro tracker is not waterproof, but it could be placed somewhere inside the car and because of its size it can be easily concealed. For longer deployment vehicle monitoring it maybe best to choose a dedicated vehicle tracking unit. Can I use this on my own tracking panel? Unfortunately we can only link these tracking units to the supplied web and phone tracking apps. Can I have multiple units in view at any one time when watching in the app? Yes, the app monitoring system is designed to do this and you will be able to see your location on the map also. With the listen-in feature, can this be used like a GSM bug? Our GSM bugs have a very good microphone pickup range, but the microphone range on the micro tracker is very limited, which limits its ability as a listening device. 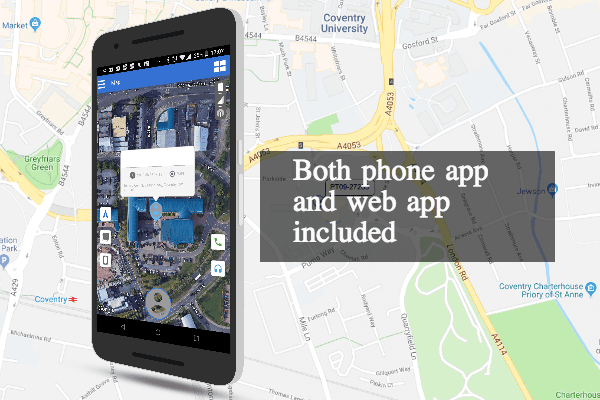 Your mobile phone handset must be able to access the Internet to be able to open the WAP link for google maps and the website app for tracking your device. Frequency of use, battery condition, temperature, placement of the unit can all have effect upon actual battery life. As such it should be noted that remaining battery level displayed on web app or low battery alerts received location requests should be the main guide to remaining battery life. This unit is supplied with a Vodafone SIM card as standard, with £10.00 credit on the SIM to enable two-way communication, for it to respond to commands and send back GPS locations. There is a choice of three colours (White, green or red). These can be selected from the dropdown menu. If we for some reason are unable to supply the colour requested then we may choose to select an alternative, albeit we will try to contact you first.